Activities Traveling to another country is not to be missed is able to enjoy a special menu of local cuisine. Philippines is one country that has many variants dishes tasty and cheap. The mixing of various cultures in the Philippines is able to provide a different and unique flavor. Here are some of the popular dishes in the Philippines that you can taste. Kare-kare is a traditional and typical dishes you should eat while in the Philippines. kare-kare is oxtail dish with a thick peanut sauce seasoning, garlic, and a bit of a mix of fresh vegetables. The taste of this dish is not too sharp on the tongue of the west, but it will make your tongue feel more curious about this dish even more. For people who are new tasting kare-kare, savory flavor that will make addicted posed. You can find kare-kare at various restaurants in the Philippines, one of the restaurants that serve kare-kare is all you can eat restaurant located in SM Mall of Asia. Adobo Sellers can be found at the Wet Market located at the back of SM Mall of Asia. Adobo is a Filipino cuisine cooked with seasoning like soy sauce, garlic, vinegar, and pepper which brings sour taste, salty and warm in the stomach. Adobo has various types, such as chicken adobo, squid, and pork. 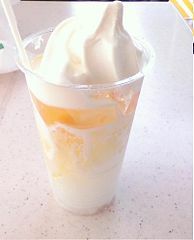 Halo-halo is one of the popular and well-known desert in the Philippines, halo-halo ice cream is mixed with milk and fruit. Halo-halo is derived from the Tagalog language means mixed, because the contents of this ice cream is a mixture of various kinds of food. The order of ingredients added very various. The primary ingredient from this Philippines ice cream is red bean, green bean stew, coconut, sugar, jackfruit, bananas, apples, sago, sweet potato, nata de coco, sweet corn, ice cream, gelatin, pudding and caramel. Whereas other material added fruit like avocado, banana, kiwi, papaya, or cherry. The order of making the halo is a mix of all the fruit first, input into a tall glass, then add sugar as the sweetener in it. Next, place the ice cream on it and enter the shaved ice and pour milk on it. 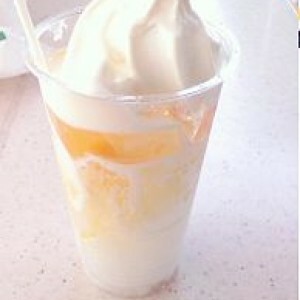 To enjoy this ice cream Philippines, you have to stir the bottom of the glass in order to feel the sweet taste. Philippines Dimsum Dimsum is actually quite similar to that found in other countries. But most dimsum in the Philippines contains more pork and shrimp. Dimsum Philippine flavor is not too much different in other asian countries Dimsum. Want to taste the street food in the Philippines? you can try balut as a favorite snacks in this country. Balut is a diet that consists of only boiled chicken egg, the egg is not unusual because there is a chick or duck embryo inside it. Balut Sellers can be found in various places such as in the crowded market, roadside, or bus terminal. How to make balut egg is to boil the water in the furnace, such as those who sell corn on the cob. How to eat Balut is like eating plain boiled egg, the egg is broken at the tip plainly added salt and garlic on top of the water in the egg and then inhaled and eaten ripe embryos. Balut prices around 12 pesos. Vermicelli noodle dishes are given a sprinkling of pork. It is suitable when enjoyed when the air is cold and warms your body. Arroz Caldo is a thick soup with chunks of chicken and onion and ginger spice. This dish can warm your body when the air was cold. Pieces of fish and meat stew with onion seasoning, garlic, and ginger. Often added vegetables in it. Boiled soup containing pork, beef, mutton, chicken with additional paprika and peas. Beef stew ready to eat. Additional rice dish with a side dish of chicken, pork, sausage, ham, vegetables, and seafood. A kind of cake containing vegetables and meat. Minced pork dish with vegetables. Raw seafood dishes and fresh fish with additional vinegar, salty and sour flavors Kinilaw. The Philippines can be a great culinary tourist destinations that you can visit in Southeast Asia. Varied cuisine will spoil the tongue of tourists from various countries.